This lightweight 5â reflector is a favorite of many new astronomers because it features remarkable light gathering with sharp images for its price and size. With a standard 20mm PlÅssl, more than the entire moon fills the eyepiece. Youâll view innumerable star clusters and dark clouds, not to mention nebulas and galaxies. Add a 32mm and the heavens open up with a remarkable 2.5 degree field of view! All of the stars in the Pleiades can be viewed at the same time. The visual observer will enjoy wide views of deep sky objects. Actual groups of nebula or clusters can be viewed at the same time with this instrument. The R130Sf comes standard with the 6 x 30 finder, 2 eyepieces, tube rings, and a dovetail plate that fits on all the Vixen mounts. This is a scope you can start with on a basic user-friendly Porta II Mount and later move up to one of our electronic mounts such as the Sphinx SXW. 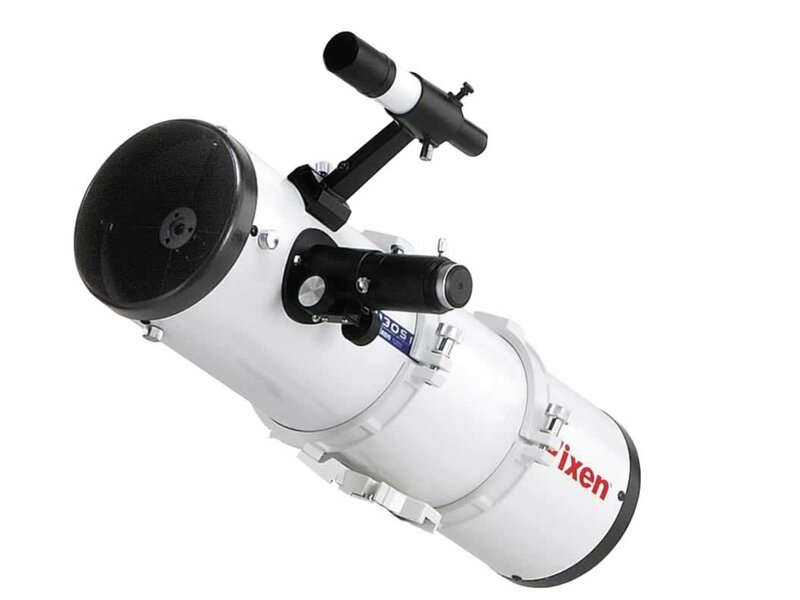 Universe Today says "The Vixen R130Sf is absolutely the perfect size for someone who needs enough aperture to light up popular deep sky objects, but doesn't need to lug around a 12" telescope". Read the full review. That is, almost perfect if you are looking for a 2nd or 3rd scope for travel, short outings or quick peeks. I got the Portamount II with the OTA. The only real weakness is the focuser, though it is not nearly as bad as some seem to think. The mirror is excellent as is the overall fit and finish. If this is your only scope, you will be tempted to replace the focuser with a 2" Crayford and the tripod with a wooden one or a tripod with 2" tubular legs. However, if you just need a lightweight rig to supplement your larger, heavier scope, then this is "almost perfect" as is. Review by Lolly of San Diego, CA. Excellent scope for a beginner or someone looking for a portable scope. Very clear images. It is light weight. Only drawback is it's made in China not Japan.